Here are a few custom scooters that have been created in-store by ATBShop team riders. 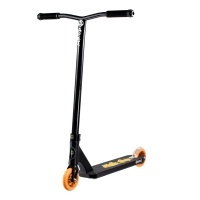 We know that there is not always a factory/out of the box stunt scooter for all your needs. 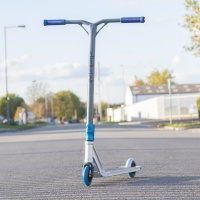 We also appreciate that choosing the right colours and being able to fully custom build your scooter to be as unique as possible is very important! 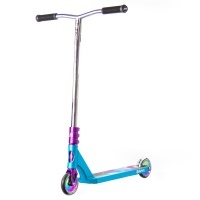 We are able to custom build scooters in store 100% to your requirements. Our dedicated team of in store mechanics know the best products and can build scooters to the highest standard. For prices on a special custom build please contact us. We can build from any parts you find on this website including parts from Tilt, TSI, District, Drone, Lucky, Elite, Proto, Grit, MADD, Blunt, Ethic, Sacrifice, Phoenix… and more! 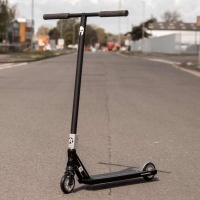 Because custom scooters are built up of so many individual parts from our website we often have several listed models as out of stock. If a model you are interested in shows as 'currently available' please call or email us as 99% of the time it is a simple case of swapping one or two items around to build your dream setup! 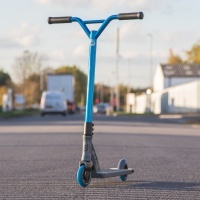 If you want to build a custom scooter around a specific item that you already own let us know and we can build a unique scooter around this. Using top of the range products, here is the latest ATBShop custom scooter! Featuring brands such as District, Blunt and Drone. 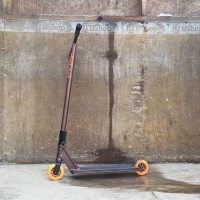 This beast of a scooter has been made up with you the rider in mind, keeping price low and spec high. this setup is a top performer. Our Team riders have put together another great looking custom scooter. Designed for the more mature rider who wants a taller, stronger and more reliable set-up. Built up from the TSI paramount deck we've included a Tilt Sculpted Fork and SCS clamp, Supremacy bars, and latest Lucky Zephyr wheels. We didn't hold back with this one! Straight out of the beast is the Kraken Apex. This is a custom using blue and purple Apex parts along with Chrome Apex Bars of course finished with Root Industries Wheels and ODI Grips! Here we have the stealthy looking Apex Nightfire. 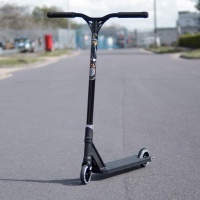 This is a custom using all Black Apex parts along with Black Bol Bars and of course finished with River Wheels and ODI Grips! 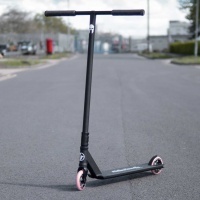 Great value for money custom complete scooter for the smaller riders out there looking to progress with an extremely well spec'd setup.